Dance students around the world have the wonderful opportunity of continuing their dance education outside of the walls of their home studio. One of the greatest ways to do this is by attending a dance convention. There are hundreds of dance conventions that tour the nation, spreading knowledge through the dance community and giving dancers the opportunity to take class from a number of teachers in a variety of styles. This year, our Atlanta Rising Talent dancers attended Nuvo and Adrenaline, in addition to Atlanta Dance Central’s ARTistry convention. So what exactly is a dance convention? 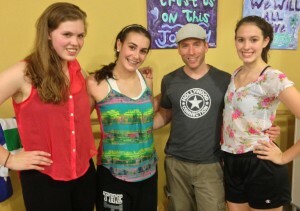 Students at the ARTistry Convention with tap instructor Jason Kalish. Conventions employ a team of well qualified dance teachers, that go “on tour.” The convention stops in cities around the nation, where hundreds of dancers from the region go and take class. Typically these conventions are held in hotel ballrooms to accomodate the large number of students in attendance, but some conventions are held at dance studios. The faculty of the convention usually includes one expert faculty member in each style of dance, such as ballet, tap, jazz, hip hop, and contemporary. Some conventions also have classes for teachers. 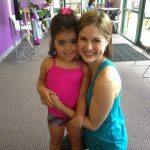 So that each level of dancer has the most beneficial experience from the convention, dancers are split up by age range. Each convention is a little bit different so the ages may not be split up exactly the same. 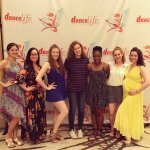 Some conventions offer a scholorship opportunity for their national convention, or for the following year’s convention tuition, that the dancers can audition for. The dancers will audition combinations that they have learned in their classes that day. Again, this audition is split up by age level. Some conventions offer scholorships by holding a competition at their convention. Attending dance conventions is highly beneficial for students. Dancers can get used to the way that their studio teachers present information, and get used to learning how to dance in their teacher’s style. By attending a convention, students may get a fresh perspective on the same information they are receiving in their own teacher’s class, and are exposed to the endless varieties of style in the dance world. The dancers also get a chance to see how other students in their region are learning and what they are working on, and they get a chance to meet new friends who are passionate about dance! Attending conventions leaves students inspired to come back to their home studio and work harder in class than ever before. Now that you know what a dance convention is, find one in your area and start learning! Let us know what your favorite dance convention is for you or or your students! Previous Post: « Student of the Month: Molly Lambert! 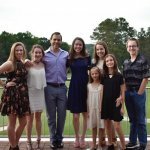 Love this article on “What are Dance Conventions?”, really great information for anyone interested in learning with their studio group outside the classroom. We’d love to invite your team to experience Monsters Dance Conventions, coming back to Atlanta this Fall, November 1-3, 2013 – http://monstersofhiphop.com – registration opens in April. Feel free to give us a call at 888-566-6787 with any questions. Thanks Gene! We hope that it helps people who are learning just how big the world of dance is! We will definitely visit your site for more information!